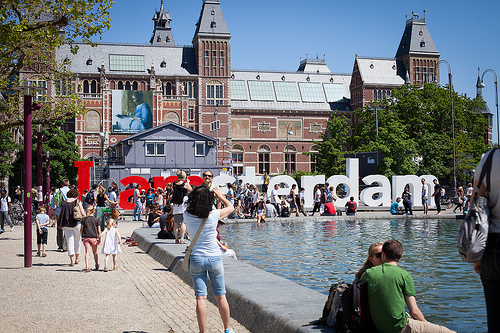 A good fare for nonstop service to and from Amsterdam. 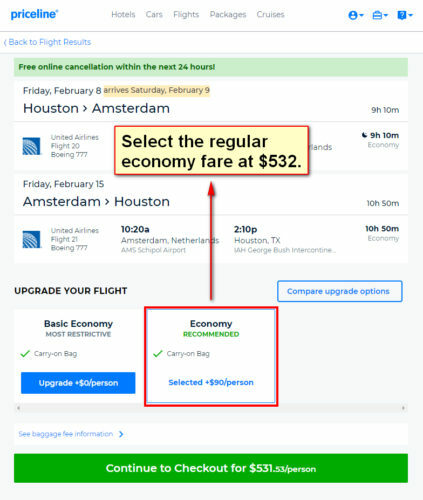 The regular economy fare at $531 from United and its partners Air Canada, Austrian, Lufthansa and Swiss Air allows for ONE checked luggage and a normal size carry-on. ITA will show prices of $442 for the Basic Economy fare. Use our instructions below to learn how to book the regular economy fare. 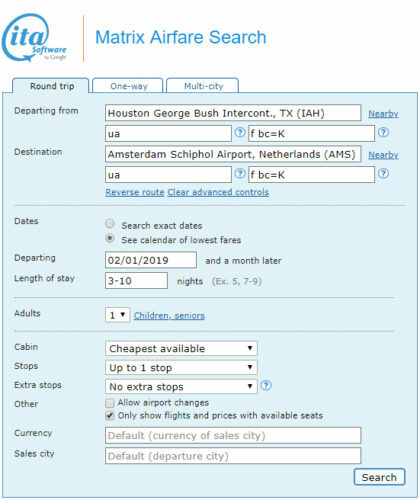 Valid for travel from early-February 2019 – late-March 2019 and from mid-October 2019 – late-November 2019. Must purchase at least 28 days in advance of departure.